So, whether the award winning engine grabs your attention or the impressive amount of space it has to offer, the new Ram ProMaster from Quirk Chrysler Dodge Jeep Ram Dorchester is a no-brainer for when you need to get the job done. The new Ram ProMaster Van is at Quirk Chrysler Dodge Jeep Ram in Boston MA! Quirk Chrysler Dodge Jeep Ram in South Shore MA has the largest inventory in the South Shore of the new Ram ProMaster Cargo Van. This reliable work van is Best-in-Class in variety of areas like payload by offering a staggering 4,440 pounds max payload. 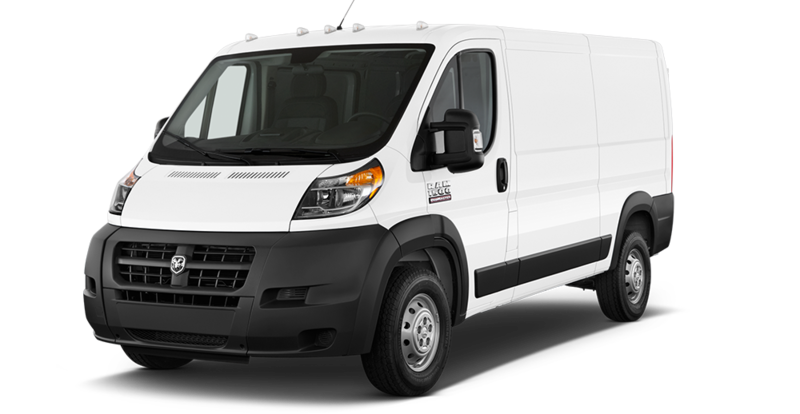 The Ram ProMaster also features the 3.6L Pentaster® V6 engine that outputs 280 horsepower and 260 lb/ft. of torque. The towing capacity on the ProMaster is up 5,100 pounds. Another bonus to the new Ram ProMaster is the rear doors. The 49 inch rear doors open 260 degrees practically swinging open all the way flat to the outside walls.